A last minute trip to Tiddesley Wood last Friday night was predictably busy. The temperature got no lower than 18c and the traps were quite hard work to be near with so many small flies and caddis, not to mention the hordes of moths. Myself and Jason Wayne ran three Skinner traps and recorded at least 176 species by 2am when we left the site. 7 Pine Hawk moths - presumably now resident here. They have been recorded in singles from Defford in recent years, only a couple of miles away. 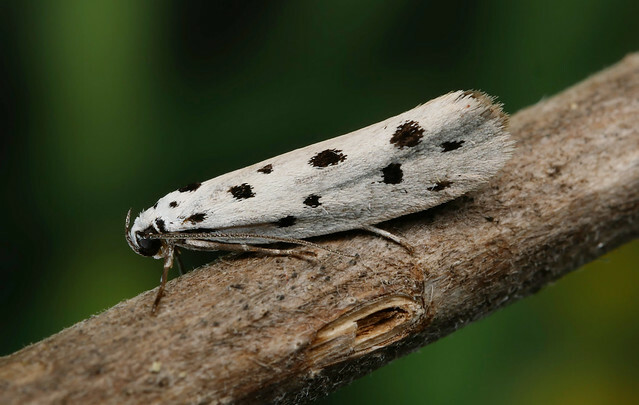 Ethmia dodecea - recorded of and on at Abberton, but still a rare moth in the county. 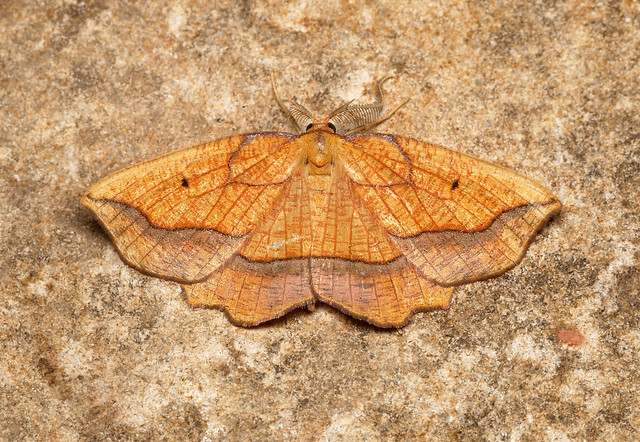 Endotricha flammealis - Spreading, but still seldom recorded. Having just moth trapped last week in Bernwood Forest in Bucks, where I recorded just over 550 Endotricha flammealis, I do find it odd that it is such a rarity out this way.